Swedish Politician Resigns After Calls To "Shoot Trump"
Time for Crude Oil Price Drop below $50? A municipal council lawmaker in the Swedish city of Kalmar, Roland Pettersson, member of the biggest Swedish Social Democratic Party, resigned on Monday after asking on Facebook if someone could "shoot" America's president, Donald Trump. "I believed that Donald Trump would calm down after he became the president [of the US]. But how wrong I was! He exceeded my worst fears! Could anyone shoot him?" Swedish Social Democratic Party member Roland Peterson, a municipal official in Kalmar's Soedermoere district, wrote on his Facebook page on Sunday. Although he later removed the post a few hours later, on Monday Peterson decided to step down as member of both his party and the Soedermoere Municipal Council and Planning Board, RT reported. "After my blunder on Facebook, there is a risk that I will become a burden for the Social Democrats in Kalmar. I do not want it, so I chose to leave all my posts," Peterson wrote in a letter to his party members, as quoted by the Oestra Smaland newspaper. Person's post provoked an angry reaction from his party members and fellow councilors. "It is good that he [Peterson] removed it [the post]," councilor Johan Persson told Oestra Smalan, adding that people should "never call for violence" regardless of their opinion of Donald Trump or other issues. The Social Democrats' leader in Kalmar, Roger Holmberg, denounced the post as "inappropriate" and "idiotic," while stressing that "even thinking about the idea of violence is completely wrong." He told Swedish broadcaster STV that he had had a conversation with Peterson and said that new party members would receive training in working with social media. Holmber said that Peterson "is deeply remorseful," explaining that he "did not understand the impact of the post in the social media." Peterson told local STV that he "would have never written" the post if he had considered the consequences, while promising he "will never do it again." He also explained to Oestra Smalan that it was Trump's environmental policy that had deeply upset him. "[Trump] risks the future of the entire Earth," he said adding that "now, when the world has started going in the right direction," Trump plans to increase oil and coal production. While Trump's ideas about the environmental are a source of controversy in the US, and social media went into meltdown after Trump's inauguration when certain hot topic issues disappeared from the White House website, including climate change, we wonder if Pettersson has heard of China's "environmental" problems, and whether the tolerant, enviornmentally savvy liberal would urge someone to nuke the entire country out of orbit if so. This important topic we cover in our book Splitting Pennies is possibly THE MOST importact topic in teaching personal finance, and probably the most misleading concept peddled by Wall St.
Let's face it - Wall St. has a reason to mislead investors, especially retail investors - because they're on the other side of the trade! That's right. When you lose - they win. And due to hedging, they can't actually lose. AND OF ALL TRANSACTION COSTS. BE LIABLE FOR ANY RESULTING DEFICIT IN YOUR ACCOUNT. LARGE LOSSES AS WELL AS GAINS. INCLUDING THE DESCRIPTION OF THE PRINCIPAL RISK FACTORS OF THIS INVESTMENT. COMMISSION MERCHANT OR RETAIL FOREIGN EXCHANGE DEALER, AS APPLICABLE. Whoa- where do I sign? This is an example of how regulators manipulate the presentation of options in order to mislead investors away from something which can protect them from disaster. Financial tools like options are like any tools, they can be used like insurance, or they can be used as weapons. Take simple construction tools. A hammer can be used to build furniture, or destroy furniture. A hammer can break a window, kill someone - but also it can be used for decades to build fine woodwork (if you are a craftsman). This is the personal finance equivalent of hedging. Hedging with options for example - should be used like an insurance policy. It's better to have it and not need it than need it and not have it. Your financial defense line can be a property that's paid for cash that you can live on for the rest of your life, it could be if you are in the car business an inventory of valuable used cars, it could be a pile of gold bars. Preppers are one group that understands this concept well - it's the underlying ethos of prepping. And of course, the problem with writing such an article is the paradox of education. Those who understand this concept, are already doing it, and those who don't understand - they don't believe that they need to know it - they have another opinion! Such thinking is never without punishment in the markets. Hedging is all about paying for something you do not need, but may need one day, should an unexpected event happen. It's a form of insurance. There's one kind of insurance that takes this concept too far - life insurance. But that's a topic for another article. Common insurance like homeowners insurance, professional insurances like directors' liability insurance, and others; are a type of financial defense line. For example, did you know in large class action cases where big corporations are involved in fraud - shareholders are settled financially primarily through insurance claims made by plaintiffs attorneys? Commonly it's thought that companies pay out these big settlements but actually, it's mostly insurance companies. Wall St. is a huge user of insurance, and hedging - which is why at companies like AIG, the lines between derivatives trading, opaque contracts, and insurance - was widely blurred. But you don't need a Wall St. bank in order to create a financial defense line, it can be as simple as investing in something for cash that you may need one day 'just in case' but don't need right now, like a property, a container full of canned food - whatever it is to you. When you HAVE the financial defense line IN PLACE - THEN and ONLY THEN can you go out into the risky market and take risks. There's a phenomenon that's difficult to quantify, but the fact that you have the defense line, it seems that those investors usually don't lose on the risks they take in the market. The only analogy that can explain this is a Sierra Club study about bears and men carrying guns; it seems that men who hike in the mountains who carry loaded guns are almost never attacked by bears - but also they never shot any bears, which means the men must emit a pheromone that the bears can sniff. Practically, it's better not to enter the market and take risks if you don't have a defense line. Another example is 'investing money you can afford to lose' - many advisors recommend investing only a percentage of a portfolio (like 5% or 10%) that if the investment is wiped out, the portfolio will remain intact. There's a few demographics that understand this other than preppers - Texas Oil Investors and Silicon Valley VCs. In Oil Investing, 9 out of 10 wells may be dry, or just barely break even. But 1 out of 10 can be a gusher - 1,000% returns, which make up for the dry and average wells. Average investors, even if you don't have any retirement or pension, can build a financial defense line - it can mean getting an extra job, doing something for extra income (like selling stuff online) or applying for a research grant you always dreamt of. It's a myth that you need money to invest. In fact, most startups are started with 99% persperation and 1% inspiration. Without money though, you'll have to put MAJOR WORK into your project to really build equity. In a simple example of a housing project, that means doing the labor yourself which can be 60% - 70% of the costs. In a business, it means you'll have to do 10 jobs, instead of hiring an accountant, a webmaster, and other things. Fortress Capital provides hedging, alternative investments, and portfolio consulting - visit www.fortresscapitalinc.com to learn more. Hey - it's better than sticking a crayon up your nose. Extended warranty? How can I lose? U.S. Treasury Secretary nominee Steven Mnuchin said an "excessively strong dollar" could have a negative short-term effect on the economy. "The strength of the dollar has historically been tied to the strength of the U.S. economy and the faith that investors have in doing business in America," Mnuchin said in a written response to a senator's question about the implications of a hypothetical 25 percent dollar rise. "From time to time, an excessively strong dollar may have negative short-term implications on the economy." 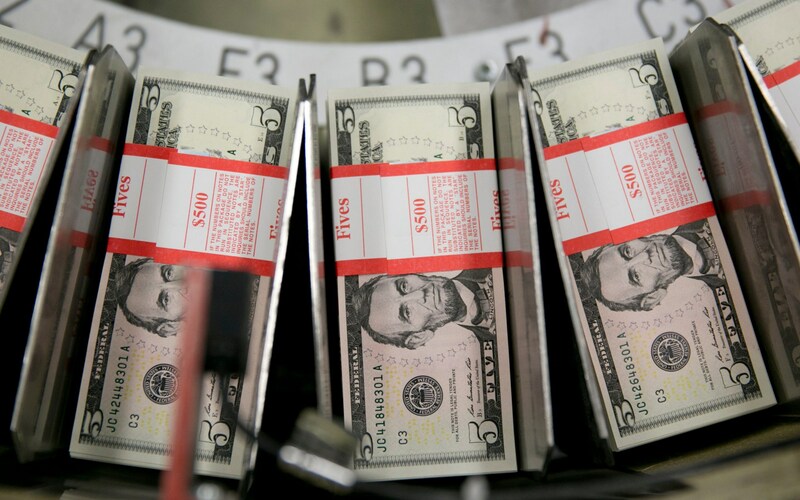 The dollar slumped to the weakest in more than six weeks after the remarks, obtained by Bloomberg News today. The comments were included in answers from Mnuchin to questions from U.S. senators following his confirmation hearing last week. In that session, he had said a strong dollar is important over the long term, while noting it's currently "very, very strong." Gold gained $11.85 to $1219.45 in Asia before it fell back to $1209.43 by a little before 10AM EST, but it then jumped up to $1218.90 by midday in New York and ended with a gain of 0.64%. Silver rose to as high as $17.247 and ended with a gain of 0.64%. Northern Dynasty Minerals Ltd. expects to resolve a dispute with the U.S. environmental regulator by April to enable it to move ahead with permitting one of the world's largest undeveloped copper and gold deposits. U.S. President Donald Trump's administration has "a desire to permit Pebble," the company's project in Alaska, Northern Dynasty Chief Executive Officer Ronald Thiessen said today in Vancouver. "We will come to a resolution within 100 days" with the U.S. Environmental Protection Agency, he said. In 2014 the EPA moved to impose restrictions on Pebble, blocking it from applying for a permit, citing "potentially destructive impacts" to the world's largest sockeye salmon fishery. Trump's pick to head the regulator, Scott Pruitt, is a self-described opponent of the EPA's "activist agenda" and has called for "regulatory rollback" at the agency. Why do gold and silver prices top overnight and come into New York cash market down significantly off the highs almost every day? Answer: The futures market that trades 24-hours a day, populated by the big gamblers and hedge funds that have the most profound effect in driving prices of all factors. These people place their bets and takes their chances and all physical market investors are taken along for the ride – good or bad. This post The Ice-Nine Lockdown appeared first on Daily Reckoning. I am often asked, "Does Ice-Nine put gold at risk of lockdown or confiscation?" First, Ice-Nine is a phrase borrowed from author, Kurt Vonnegut. Vonnegut wrote a book in the early 1960s called Cat's Cradle, and it's a doomsday scenario. In Cat's Cradle, a doomsday machine is created. Scientists discovered a molecule called Ice-Nine, very similar to water (H₂O) with two differences. Number one, it has a melting point of 114.4°F. Which means it's frozen at room temperature. The other characteristic is if a molecule of Ice-Nine comes in contact with a molecule of water, the water turns to Ice-Nine. In other words, it turns to a form of ice. The plot of the book was that there was only a small amount of this Ice-Nine and the scientist gave it to his three children in vials. As long as the vials were sealed, it was all good. If you open the vial and pour the Ice-Nine into a stream, the stream would freeze, then the lake would freeze, a river would freeze, a ocean would freeze, the entire plant would freeze. We would be in a new ice age and life on Earth would be wiped out. I took that as a metaphor to explain what's going to happen in the financial system and the next financial crisis. This is really what my book The Road to Ruin is about. (I describe all the critical details in The Road to Ruin. Go here now to get your copy for free, instead of paying the full $23). Physical gold and silver are the answer to Ice-Nine. I don't think they're in jeopardy in an Ice-Nine scenario. I think that gold and silver are one of the ways to survive Ice-Nine. It the crisis of 1998, which I was very involved in negotiating a solution, prior to the crisis of 1998. What we saw in 1998 was Wall Street get together and bail out the hedge fund Long-Term Capital Management. Then in 2008, the central banks got together and bailed out Wall Street. In the next crisis, 2018, maybe sooner, maybe tomorrow, who's going to bail out the central banks? Each bailout gets bigger than the one before. Each crisis gets bigger than the one before. We are now at the point where the ability of central banks to reliquify the system is in doubt because they're heavily stretched. The central bank balance sheets are extremely bloated. Central banks have printed so much money already, it's not obvious that they can do it again from the current levels without destroying confidence in the dollar, and all major currencies. The question is, where will the liquidity come from in the next financial crisis if it can't come from the central banks? The answer is the IMF. The International Monetary Fund has the only clean balance sheet out of the major financial institutions. It can print money. They call it the SDR, the Special Drawing Rights. I call new world money. The IMF can flood the market, and the world with trillions of SDRs equivalent to more than trillions of dollars which is exactly how they'll do it. There is a problem with this model at the IMF though. It's got a 24-member executive committee representing 24 nations around the world, or groups of nations. Every five years they change the voting rights. It so happens that 2017 is one of those five-year reviews where they're going to increase the voting rights of Brazil, Russia, India, China and South Africa (BRICS). The so-called BRICS are going to get more votes and potential veto power within the IMF model. When it comes time for the IMF to issue world money (SDRs) to reliquify the world, there's going to be a negotiation period. It will to take months to complete. During the last crisis this took 11 months. That was when the crisis hit in September, 2008 we saw Lehman Brothers hit a crisis, the IMF began to issue SDRs in August 2009. Even though they react on a case basis, it's going to take, an estimated 3 or 4 months at least to get SDRs issued. In that interim period between the crisis and the time the IMF can react, central banks will be paralyzed. They're likely going to lock down the system. When I say lock down, they'll start with money market funds. I can't think of a greater misnomer than the money market funds. People think that money market funds are money. They're not money; they're mutual funds regulated by the SEC. People think they can just call up their broker, sell to the money market fund and the money's in my bank the next day. That will not be true in this crisis because everyone will be doing the same thing. That is what happened in 2008 when Ben Bernanke and Hank Paulson went to the White House and said to the President that the system's melting down and he must act. That was such a shock then, that when it happens again they're not going to give you your money. They're going to lock it down. The problem is, and this is where the Ice-Nine metaphor comes in, is that when it is spreading you can't just lock down part of the system. If you lock down money market funds, people are just going to take their money out of the banks. Then you're going to have to close the banks. Then people are going to sell their stocks, then you're going to have to close the stock market. Every time you shut one path to liquidity, people are going to turn to another path. The metaphor of Ice-Nine is that it spreads from molecule to molecule, institution to institution, requiring a freeze on the entire system. It happened in part in 1914, 1931, 1933 and to gold in 1971. There's no precedent for a total freeze but we're getting closer to that point. The question is, how do you protect yourself against that? There's only so much you can do. I don't recommend running down and pulling all your money out of the bank. I would not have more than the insured amount, which in the U.S. is $250,000. You can spread it between your selected banks so that each is backed and insured up to the limit. The thing about gold and silver is that it needs to be in physical form, in safe storage, and a non-bank. Putting it in a safety deposit box in a bank is troublesome because by the time you want it the most, that will be when the banks are going to be closed. That's Ice-Nine. In the world described, the dollar price of gold will be approach the $10,000-level if not much higher. Don't wait on gold, because when all of this begins to play out, you're not going to be able to get gold. Ice-Nine is a freeze of the financial system, it's something that's happened before, it'll happen again in the next crisis. Physical gold and silver is the answer to Ice-Nine, and you should get it while you still can. The post The Ice-Nine Lockdown appeared first on Daily Reckoning. President Trump's inaugural address was based on the ridiculous conceit that he somehow had received a mandate for running second in the election with just 46 percent of the vote, almost 3 million votes behind the leader, who didn't do so well herself. 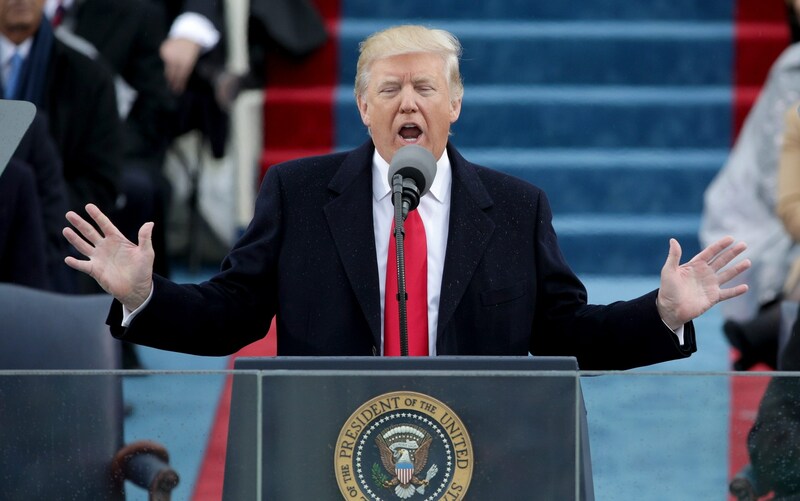 With his ascension, Trump said, "we are not merely transferring power from one administration to another, or from one party to another, but we are transferring power from Washington and giving it back to you, the American people." Or as the megalomanical politician invented by the Firesign Theater in 1970 said, "Now I am the people." Continuing to pander, Trump offered another ridiculous conceit -- that "a small group in our nation's capital" has been cheating all the good people of the country. In fact, while the country purports to hate Congress, it loves its own congressman, almost always re-electing him because he does his best to cheat every other congressman's district for the benefit of his own. That is, nearly everyone is on the government gravy train one way or another but still fashions himself exploited. "We've made other countries rich while the wealth, strength, and confidence of our country have disappeared over the horizon," the new president said. "The wealth of our middle class has been ripped from their homes and then redistributed across the entire world. ... From this moment on, it's going to be America first." Except that since 1945, when, by international agreement, the U.S. dollar was installed as the world reserve currency, the world itself has been run on an "America first" basis. That's because for international trade the world has been required to use currency issued only by the U.S. government, allowing the United States to run huge trade deficits, thereby essentially taxing the world for using the dollar so Americans can consume far more than they produce. This currency arrangement is a primary cause of the decline of simple manufacturing in the United States, about which Trump complained during his campaign and again in his inaugural address. "America first"? It has been a long time since it was otherwise. The protectionism and tariffs the new president seemed to advocate in his address will not be good for the complex manufacturing in which the United States now excels. Protectionism and tariffs will be reciprocated and may be as bad for Boeing and Pratt & Whitney as they may be good for Airbus and Rolls Royce. Trump's address included fair grievances: "Mothers and children trapped in poverty in our inner cities. Rusted-out factories scattered like tombstones across the landscape of our nation. An education system flush with cash but which leaves our young and beautiful students deprived of knowledge. And the crime and gangs and drugs that have stolen too many lives and robbed our country of so much unrealized potential. ... We have defended other nations' borders while refusing to defend our own." But Trump's own response to these problems was only the most delusional megalomania. "This American carnage stops right here and stops right now," the new president said before hurrying off to march in the inaugural parade and dance at the inaugural balls. A new week has begun and of course the "carnage" has not stopped or even slowed, for mere proclamations are powerless against problems arising from mistaken policies of long standing. The country may not even be capable of addressing these problems while it is as divided politically, philosophically, and socially as Weimar Germany was divided between Nazis and Communists. Indeed, as the tribune of America's populist right was taking his oath, just a few blocks away the neo-Stalinist left was already rioting, smashing windows and burning cars. This post This Girl Knows All Your Secrets… And She’s A “Buy” appeared first on Daily Reckoning. Or you might want to just go back to bed. Today, I'm going to reveal how one of the world's biggest public companies has infiltrated every single aspect of your life. It knows your likes and dislikes. It can predict what you're going to buy and when you're going to buy it. It even knows what sports and shows you enjoy in your free time. And no, I'm not talking about Facebook. It all comes down to a product that cost this company more than $300 million in losses last year. This loss-leader has the potential to eavesdrop on many of your conversations. But it's much more than a sales gimmick. In fact, this product has a shot at vaulting its parent company to new heights. The product is called the Amazon Echo. You've probably seen these before (or at least an advertisement). The Echo is a desktop speaker that looks like a big hockey puck. It responds to voice commands with its breakthrough software called Alexa. You can tell Alexa to play your favorite music, ask her about the weather, or even tell her to order specific products through Amazon. "In the two years since its release, Alexa has spread like wildfire, and the voice service is now integrated into dozens of home gadgets, including refrigerators and, soon, cars," the Financial Times explains. "Amazon hopes that Alexa Voice Services, the digital mind behind the assistant, will become ubiquitous wherever voice commands are used." Amazon is already dominating webhosting. Now, it's looking to control the world of artificial intelligence via a virtual assistant. Amazon revealed at CES that there are now more than 7,000 Alexa skills, which Geek Wires explains as "third-party integrations that extend the capabilities of its voice platform." Alexa developers are in this game to dominate voice. And as Alexa continues to "learn" new skills and integrate with additional products, she will be a force to reckon with in the tech world. Google owns search. Netflix owns streaming. 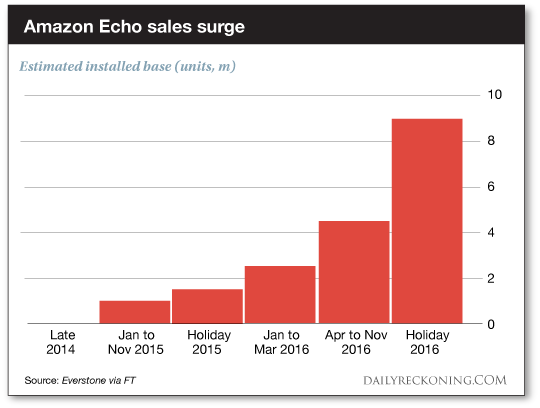 If Amazon continues developing Alexa at the current rate, the company will own voice. This venture will entrench Amazon inside every home in America. The Echo is the Trojan Horse. Alexa—the software—is what Amazon will use to perfect its ability to gather every shred of information about you and your family to add to its consumer database. The post This Girl Knows All Your Secrets… And She’s A “Buy” appeared first on Daily Reckoning. The best performing precious metal for the week was palladium with a gain of 4.92 percent. Most of the gains came on Friday after Sibanya Gold's proposed acquisition of Stillwater Mining passed U.S. antitrust conditions. Not only does Stillwater produce palladium, it's also one of the largest recyclers of used automobile catalytic converters. James Steel of HSBC noted that the supply of palladium has stagnated in recent years while auto sales have soared. This article and a sequel article together chronicle a long-running investigation that has attempted, with limited success to date, to establish a number of basic details about Ireland's official monetary gold reserves, basic details such as whether this gold is actually allocated, what type of storage contract the gold is stored under, and supporting documentation in the form of a gold bar weight list. Ireland's gold reserves are held by the Central Bank of Ireland but are predominantly stored (supposedly) with the Bank of England in London. China launched the One Belt One Road (OBOR) project 5+ years ago and made their first rail delivery in February 2016. China has been stock piling commodities, especially base metals, like copper and steel, for the past 2+ years in order to produce all the finished goods necessary to construct the largest infrastructure the world has ever seen. In 2016 we witnessed close to a doubling of the market price for iron ore and Alasdair sees this trend continuing into 2017. The action favored bettors this holiday-shortened week (Monday was Martin Luther King day in the US), with the price of gold up 13 bucks and silver up 26 cents. We noticed a worrisome remark by newly inaugurated President Trump. The strong dollar of the past 20 years, he said, is not good for American competitiveness. Let's just tackle this straight on. Actually, we will address three distinct issues. Over the past couple of months there have been several headline articles regarding the relationship between gold and interest rates. Most of them are well-meaning attempts to convey information about recent changes in the markets as interest rates head higher. In several instances, however, the author(s) have tried to explain a ‘perceived’ correlation between rising interest rates and the value of the US dollar – in a very positive manner. And they have imputed a similar correlation – albeit negative – in other statements with respect to Gold. In both cases they are incorrect. Gold to Regain Its Gleam! One question that gold investors are asking now is, will 2017 be as spectacular for the yellow metal as it was in 2016? The short and sweet answer to this is YES. The dollar, gold and the major U.S. stock exchanges will all see new highs. Gold is currently in a “complex corrective correction” while experiencing its’ last pullback, beforehand. Both the short-term outlook and the long-term outlook for gold is BULLISH! Trumps’ victory win is a positive for gold bulls. Policy uncertainty and slowing growth, following a Trump win, will stoke the yellow metals’ price in 2017. Precious metals expert Bob Moriarty explains why he sees Columbus Gold's present situation as a win-win for investors. Gold has rebounded sharply higher in the past month, taking the early lead as 2017’s best-performing asset class. Normally such a big gold surge would require heavy gold-futures buying by speculators. But they’ve been missing in action, barely moving any capital into gold yet. Their collective bets on this metal remain very bearish. Since they are such a strong contrarian indicator, that’s a very-bullish omen for gold. The sole mission of speculation and investment, and thus all the endless research that feeds into it, is to multiply wealth. Traders can’t effectively buy low and sell high unless they understand what drives the prices of their trades. For years now, gold has had two overwhelmingly-dominant drivers. Their capital flows fully explain the vast majority of all gold’s price action, and thus are exceedingly important to study. The performance of gold in 2017 depends largely on whether the Trump’s presidency will lead to lasting shift in the markets. What changes do we mean? Some analysts mention the reflation, others point out the ‘risk on’ sentiment and the ‘great rotation’ out of bonds and into stocks. Ray Dalio, the founder and chairman of Bridgewater, claims that the Trump’s victory was a turning point ending the period characterized by increasing globalization, free trade, and global connectedness; relatively innocuous fiscal policies; sluggish GDP growth, low inflation, and falling bond yields. The new period is believed to be characterized more by decreasing globalization, free trade, and global connectedness; aggressively stimulative fiscal policies; increased economic growth, higher inflation, and rising bond yields. An often cited negative about gold is the inability for investors to value it, unlike traditional investments such as stocks and bonds. A company’s revenues and earnings can be forecast to arrive at a valuation multiple. A bond’s cash flows can be discounted to come up with a present value. But since gold bullion does not produce either, investors often struggle with assigning a fair value. Some will look at technical analysis, others fundamentals, interest rates, or expected inflation—but unfortunately there’s no correct answer, and attempting to time the market when choosing an entry point is extremely difficult. Trading position (short-term; our opinion): Short positions (with a stop-loss order at $56.45 and an initial downside target at $45.81) are justified from the risk/reward perspective. On Wednesday, crude oil lost 2.57% after the head of the IEA warned of a significant increase in U.S. shale output as OPEC and non-OPEC producers cut output. This news negatively affected the investors' sentiment and pushed the black gold under important support levels. What does it mean for light crude?